For the longest time, I thought that organic products were a passing trend, and that people would eventually get tired of the idea. But I’m just now starting to realize that it’s not a gimmick at all. Natural products were born for a reason, and I think we’ll start seeing the true effects on people’s health the longer they’re around and the more sustainable they become. Now that I’m feeling far more invested in the idea of going organic, I’ve started making it a point to stock up on all-natural foods at the grocery store, and I even ordered a slew of home cleaning products that are made from natural ingredients. John and I are both now pretty committed to switching things over (as much as we can) to organic products, and that means I started to research and hoard all-natural skincare and beauty products, too. Scroll on for the list of our current favorites, and what I love most about each. 1. FATCO Stank Stop Deodorant for Men: Paraben-free, sulfate-free, formaldehyde-free, aluminum-free, phthalate-free—need I really say more? 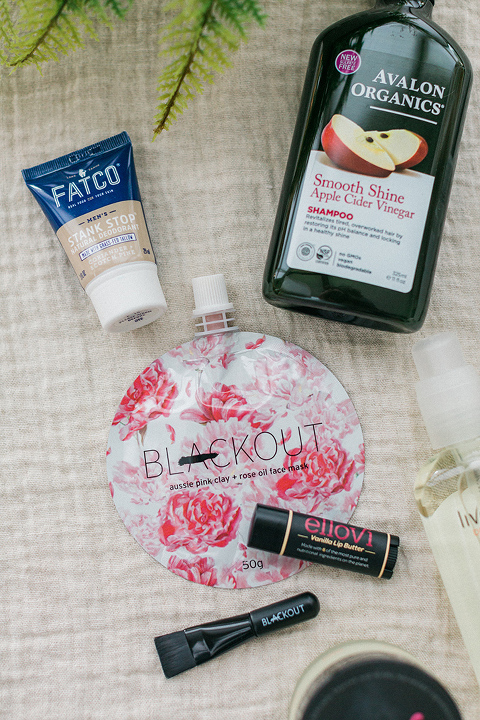 Honestly, I haven’t made the switch to natural deodorant yet, but when I run out of my current stash, I’m definitely going to try the women’s version of this one from FATCO. 2. Avalon Organics Smooth Shine Apple Cider Vinegar Shampoo: I’ve been using this for the past week, and love how silky my hair looks and feels. That ultra-smoothing vegan formula really works! 3. Jkosmmune Toner: One of my least favorite things about toners is how they often smell really alcohol-heavy, and make my skin burn after use. This one from Jkosmmune isn’t like that at all, though. It smells great (even if I happen to breathe in deeply while applying it), and the natural ingredients leave my skin feeling refreshed without the burn. 4. Hello Oral Care Extra Whitening Fluoride Toothpaste: I already mentioned my love for Hello Oral Care this season, but I’m going to bring it back up again today because this really is such a great brand. First of all, their packaging is so modern and fun, but I also love that their toothpastes don’t use dyes or artificial sweeteners and there aren’t any preservatives, either. 5. Crunchi Eyeshadow: Crunchi is the perfect lead-in to talk about natural makeup. 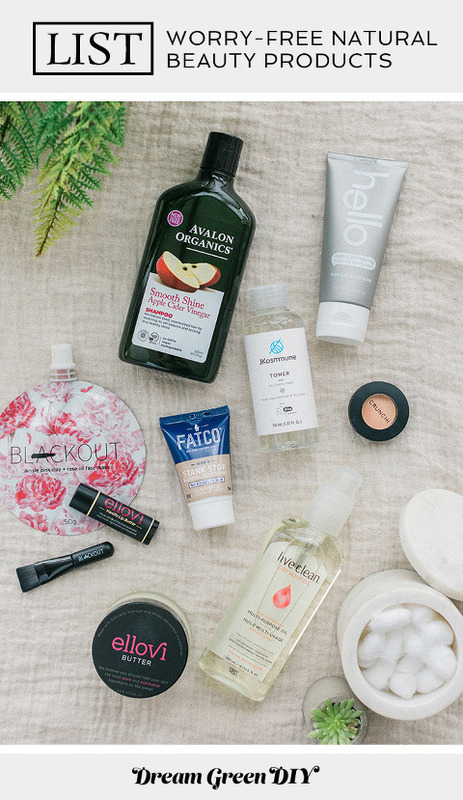 All of their products are Vegan or Vegetarian and cruelty-free, but those production restrictions don’t limit the scope of their collection at all. There are tons of fun colors to choose from, and the formula feels great all day long on my skin. 6. Blackout Aussie Pink Clay + Rose Mask: When it comes to self-care, I’m a face mask gal through and through. Practically nothing calms me more than layering on a rich, luxurious mask (like this all-natural one from Blackout Masks) and sinking down into a steamy tub with a candle and classical music going. Try it sometime for yourself! 7. Ellovi Original Lip Butter and Original Butter: I keep a tube of this lip butter in my purse for on-the-go application, and the body butter in my desk drawer. I use both a few times a day because they’re super hydrating, smell amazing, and soak into my lips and skin almost instantly. Actually, I need to remember to order more soon. 8. Live Clean Dry Body Oil: I’m pretty rough on my body, so I’m always finding new dings and scratches, whether from banging into things at the pottery studio, rough-housing too hard with the pets, or getting too aggressive with my DIY tools at home. This Dry Body Oil helps reduce the look of all the scars those scratches might otherwise leave behind, plus the lightweight formula reminds me of a spa massage when I’m rubbing it into my skin. Did I miss a natural makeup or skincare brand that you swear by? Tell me all about it in the comments! 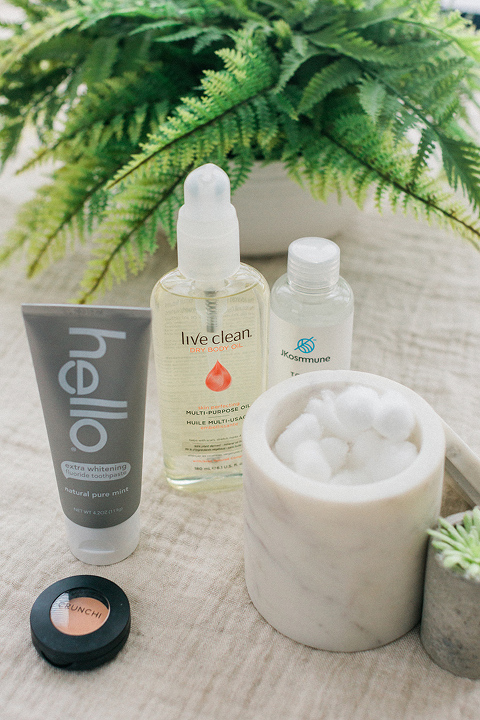 I’m anxious to find replacements for pretty much everything I use so that I can make my routine as truly clean as can be—whether that’s brushing my teeth and washing my hands, or even what I use to hydrate my cuticles. 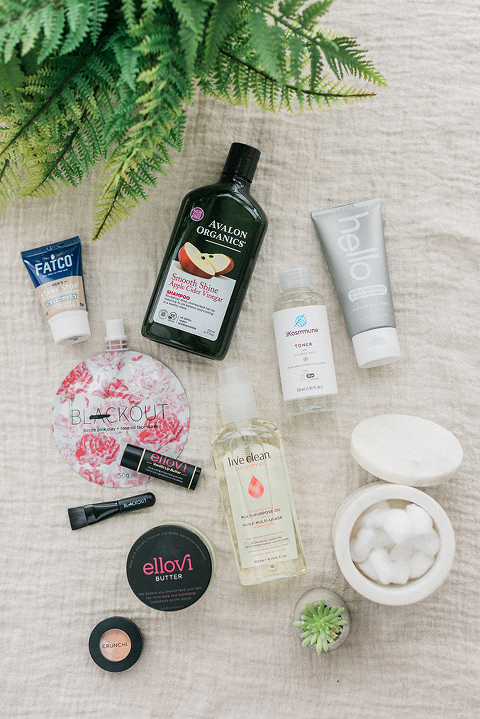 I know I don’t have the stamina to be super strict about it, but I also know that if I keep natural products on hand, I’m much more likely to use and get addicted to them. Hopefully that list above offers us both a great place to start. *I earn a small percentage from purchases made by the affiliate links above. Affiliate links are not sponsored. You can rest assured that I would never recommend a product that we don’t use and love ourselves.